It turns out that using your dishwasher is a thousand times better than washing dishes by hand. According to the EPA, the standard flow of a kitchen faucet is 2.2 gallons per minute. That’s a lot of water! You’d use an estimated 27 gallons by washing an entire dishwasher load by hand. In contrast, ENERGY STAR® dishwashers use no more than 5.5 gallons of water for the entire load (and some of them use as little as 3 gallons). Even older dishwashers only use 10 to 15 gallons per cycle, which is still half as much water as handwashing. 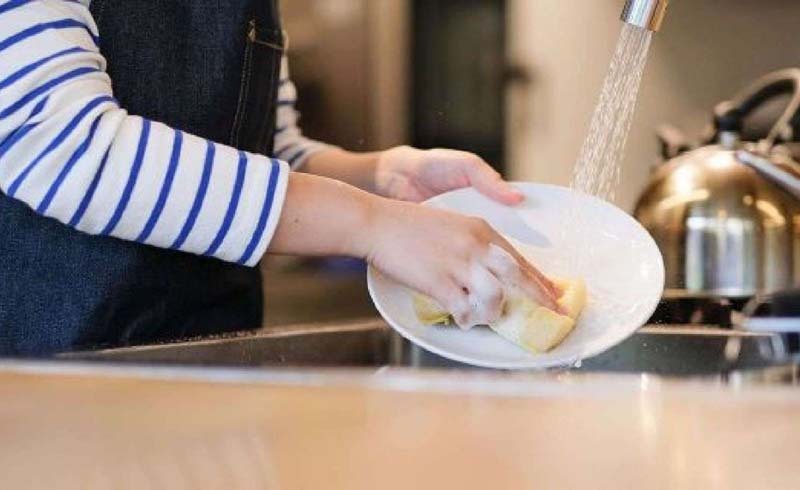 New dishwashers also have sensors that detect how much grime comes off the dishes, using only as much water as required until the water runs clear. You’d have to you wash an entire load of dishes in less than 2.5 minutes to compete with that.